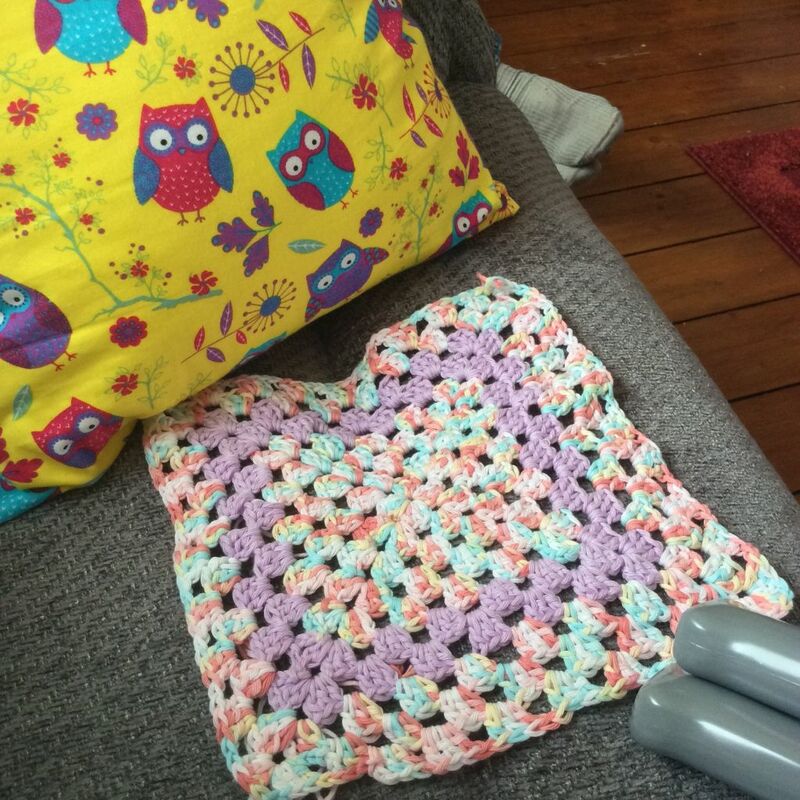 This entry was posted in Crochet, Diary of a Crafty Fairy! and tagged crochet, granny square blanket, handmade monday, post-surgery by patchworkfairy. Bookmark the permalink. Glad you op went well and you are back home. Hope you are soon up and about and pain free. “I have been so glad of my soft Liberty fabric patchwork quilt, my warm colourful ripple blanket and a new bright owl fabric cushion I made last week before I went in.” – you almost made what you’ve just gone through sound appealing! It’s amazing what a few home-crafted comforts can achieve! I’m glad things were OK for you with the op and all the very best for a steady recovery. Hopefully you can continue to find comfort in crocheting while you get yourself back to some sort of normality. Visiting from Handmade Monday. What a lovely project and I hope you’re feeling better soon! Those colours alone must be cheering you!